STAMPIN’ UP!® NEEDS ALL KINDS OF DEMONSTRATORS …. Hobby Demonstrator: Loves doing workshops and earning extra money when it’s convenient, works a lot some months and very little other months; likes to do workshops that are easy to book; doesn’t like to work too hard to book workshops; may run classes. 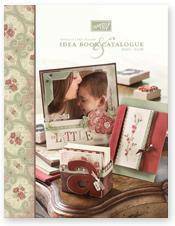 Career Demonstrator: Views a Stampin’ Up! Demonstratorship as a viable business with long-term career potential; pursues management and wants to move up the career ladder; loves attending Stampin’ Up! Events and has developed close social relationships with other demonstrators; works at her business in a consistent and outgoing manner. AS YOU CAN SEE, THIS IS A FLEXIBLE, FUN BUSINESS YOU CAN BUILD TO SUIT YOUR NEEDS AND DESIRES. MAKE IT FIT FOR YOU BY USING YOUR UNIQUE TALENTS AND STYLE. If you live anywhere in Australia, contact me TODAY at rachel.capps@yahoo.com.au and I’ll send you more information! Just wondering what is involved in becoming a discount demonstrator. I recently bought some Stampin’ Up products and really like them.